CMS released the FY 2016 Home Health Proposed PPS rule on July 6, 2015. 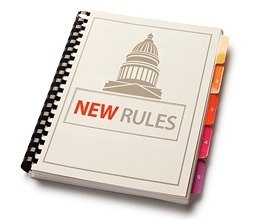 The rule proposes to establish a value-based purchasing program in nine states for home health providers in 2016. According to CMS, providers in the affected states would have payments adjusted depending on the degree of quality performance achieved. Payments would change by 5% in each of the first two payment adjustment years, 6% in the third year, and 8% in the final two years. The value-based purchasing program would be implemented January 1, 2016 and end December 31, 2022. CMS is moving forward to implement the third year of the four-year phase-in of the rebasing adjustments to the Home Health PPS. As finalized in the CY14 final rule, the CY16 downward adjustment is $80.95. CY16 will be the second year that CMS proposes to annually recalibrate the Home Health PPS case-mix weights. This is identical to CY15. CMS proposes to decrease the national, standardized 60-day episode payment amount by 1.72 percent in each of CY16 and CY17 to account for nominal case-mix coding intensity growth unrelated to changes in patient acuity between CY12 and CY14. CMS will also be updating the Home Health PPS payment rates by 2.3 percent in CY16. CMS proposes to establish a threshold for submission of OASIS assessments. CMS proposes a new quality measure that addresses the domain of skin integrity and changes in skin integrity. The IMPACT Act requires the specification of such a quality measure by Jan. 1, 2017. CMS will host an Open Door Forum to review the rule on tomorrow at 3:30 PM Eastern Time. To participate, dial 1-800-837-1935 at least 15 minutes prior to the start time of the forum and enter conference ID: 21624265. Click here for the full agenda for the July 8th meeting.